Central Oregon’s celebration of wood-aged libations features beers and ciders aged in wine and whiskey barrels from producers like Reverend Nat’s Hard Cider, Worthy Brewing, and Fremont Brewing. 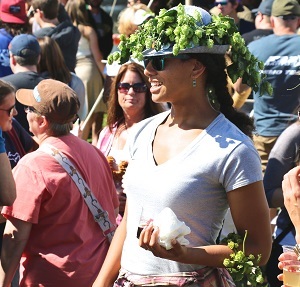 Get a taste for the Mitten State with the Upper Peninsula Fall Beer Fest, overlooking Lake Superior in Mattson Lower Harbor Park. More than 60 Michigan breweries will be pouring more than 400 beers, and food will be served on site, plus live entertainment from local musicians. 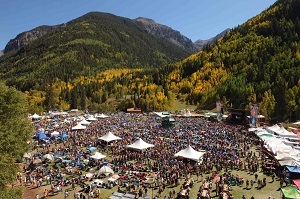 It’s hard to top the views at this festival at 8,750 feet, and the lineup of musicians—like headliners ZZ Top, Sharon Jones and The Dap-Kings and Gregg Allman—isn’t too shabby either. The brews portion features a Grand Tasting with 56 breweries, as well as fest beer sponsor Sierra Nevada and a handful of other breweries pouring all weekend long. Every beer lover should make the pilgrimage at some point to the beer festival standard, the original Munich Oktoberfest. The annual event offers pretty much all one could hope for from a festival—liters of lager, pretzels and brats, traditional Bavarian bands and boisterous cheersing (raising and clanking of glasses). The “powerful elder statesman” to DESTIHL’s lower-ABV Saison de Ruisseau, the Duke is a hefty saison with a black pepper and hibiscus nose, notes of bubble gum, cherry and coriander, and a bone-dry finish. 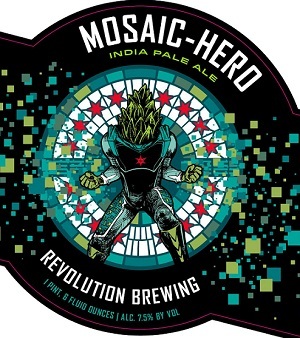 The latest in Revolution’s Hero series of specialty IPAs features the popular Mosaic hop. It’s joined by Warrior as the primary bittering hops, with Mosaic and Zythos in the brew kettle and whirlpool. It’s then dry-hopped with Mosaic for its trademark aroma of tropical fruit, citrus and fresh pine. After brewing a pilot batch at Gæingur Brewery in Iceland, the creative brains behind gypsy brewer Evil Twin and Connecticut brewery Two Roads are ready to release this collaboration gose, brewed with Icelandic moss and sea salt, in 16-ounce cans. The second release in Perennial’s Dealer’s Choice series of cocktail-inspired beers is the Jack Rose, brewed in collaboration with the Jack Rose Dining Saloon in Washington, D.C. The beer/cider hybrid is inspired by the tart cocktail of the same name, made with applejack, grenadine and lemon or lime juice.